For someone who is just starting down their trying to conceive journey or hasn’t been on it for too long, I recommend this article – Plus Size Trying to Conceive Advice: Act Like You’re Already Pregnant. 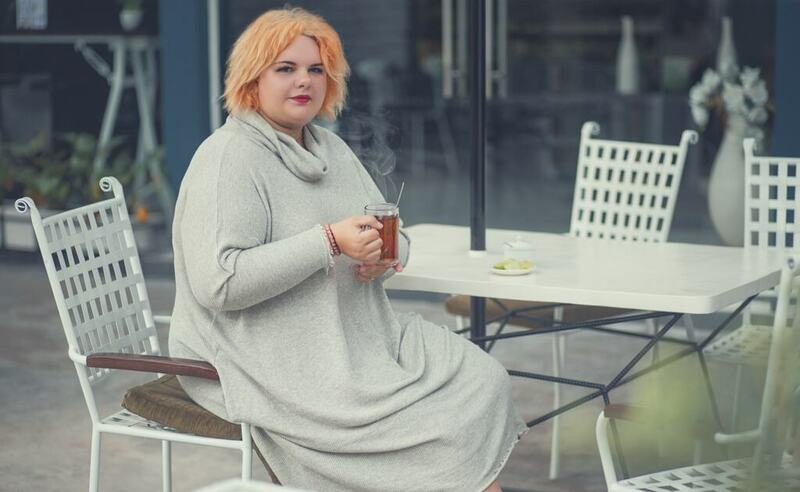 However, sometimes a lot more support is needed when it comes to infertility for plus size women. Sadly, this is often the narrative for a plus size woman who has been trying to conceive (TTC) for quite some time. She seeks out support from her OB-GYN (or connects with a fertility specialist) and then is immediately told she will not receive any support or medication until she has lost a significant amount of weight. Yet there is a lot more to infertility for plus size women than just weight! Dr. Morgan Sheridan, a chiropractor in Colorado, joins the blog to talk about her approach to fertility by looking at the woman as a whole – not just her weight. Please note that not all chiropractors practice in this way but those who are International Chiropractic Pediatric Association (ICPA) practitioners have special skill sets to support infertility for plus size women and women of all sizes. Preconception is something that some of us are lucky to never have to think about (though we should! ), while others of us have a terrible time getting and staying pregnant. 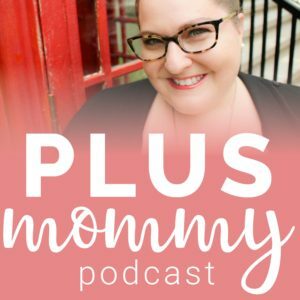 I find that plus size women come in with having already heard that if they just lost weight, then they would be able to be pregnant, and end up feeling frustrated. However, it is not as simple or black and white as that. Specifically, innervation, blood sugar regulation, and thyroid function are my main concerns of contributing factors to fertility, than is the actual number on the scale. The first thing to concentrate on preconception are neurostructural shifts. The nerves that stimulate organs involved in fertility (ovaries, uterus, thyroid, adrenals, pancreas) must be addressed to ensure effective innervation. For example, something as simple as falling on your bum when you learned to walk could shift your sacrum (a bone in your pelvis) and lumbar vertebrae (low back). While this shift may not seem like a big deal, it could cause the nerves involved to work less efficiently. Specifically, the L3 nerve controls ovarian function. By correcting those shifts, the highest function can be restored. The next area to look at with preconception is blood sugar levels (glucose). Insulin is a vital hormone that helps turn glucose into energy. When glucose cannot be regulated by insulin, the body produces more and more insulin. This is where the problem begins. Increased insulin leads to higher testosterone that can inhibit fertility. Follicle Stimulating Hormone (FSH) and Luteinizing Hormone (LH) levels are altered leading to decreased follicle development and impaired ovulation. Also, estrogen and progesterone get thrown out of balance so that even if an egg is produced, its quality is sub-optimal and may make conception even harder. While insulin issues are common in women who are medically overweight or have PCOS (polycystic ovarian syndrome), the weight should not be the main focus. In addition to optimizing the nervous input to the ovaries, food choices that aim at regulating blood sugar and insulin (low glycemic foods and missing minerals/vitamins) are the best option to help turn the hormone train back around. It isn’t about weight, it is about how a woman’s body is using the tools and food being put in. By being told to lose weight, sometimes the next areas are addressed non-specifically. We need to be adding proper nutrients that are often lacking in our modern diet. We can minimize toxins by cleaning up what we put in our body, such as beauty products and food sources. Also, we need to optimize how the nutrients we consume are digested to ensure we are absorbing all of the good things we are taking in. It is possible that these things can happen when we “lose weight”, but not always, and not because of losing weight. By being intentional about nutrition, we can maximize the building blocks needed by our body for fertility. If the thyroid hormones are imbalanced, estrogen and progesterone are also affected. Thyroid hormone is essential in making progesterone and pregnenolone. These are protective hormones that help maintain a pregnancy once conception occurs. Some providers might look at altered thyroid levels and think that is the symptom to treat. I disagree. Usually, a thyroid symptom is a nod back to insulin and blood sugar regulation. What I focus on with any woman facing fertility issue and preconception concerns, is how her body is functioning as a whole – not just parts. I don’t want to treat the symptoms; I want to find the cause. “Keep the soil healthy and the bad seed won’t grow” David Agus. I look to optimize the health of the soil. Focus on fertilizing your body and increase your chances of “fertilizing” that seed! I also encourage my patients to be gentle with themselves as they work through the journey to better health, in spite of the scale number. 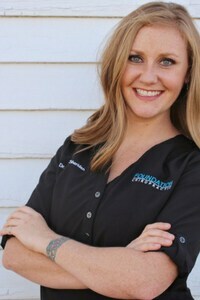 Dr. Morgan Sheridan is the chiropractor behind Foundation Chiropractic. She has a strong background in providing NeuroStructurally based chiropractic care with a focus on pre-conception, fertility, pregnancy and pediatric care. She is enthusiastic about providing care for the entire family by taking a preventative and proactive approach to their health. Yes, I was told to lose weight. I told him, I see fat women everywhere able to get pregnant, i know something is off. Well, I read taking charge of your fertility and took bbt and ov tests and found that i had a luteal phase disorder. I’d ovulate then get my cycle 2 days after, NOT normal! I made him check my hormones and yup, my semi borderline high prolactin levels was the cause. 1 simple rx for bromocryptine to lower my prolactin (after 1 year of ttc) and I was pregnant my next cycle. I kept my rx and used the same pills 3 years later and again, pregnant in 1 cycle. WOW! Thank you so very much for sharing your story and congrats!! So thankful for reassuring information like this. I had miscarriages at 30 and one at 35, both times was 320 lbs. No one did any testing, just said it was my weight. Kept waiting to get help because if my weight hadn’t changed then I thought they wouldn’t help me. 2 years ago got a new primary doc, was at 390 lbs my thyroid was out of whack and I wasn’t processing sugar correctly. Now I’m on thyroid med and metformin. Last year at 41 years old and 350 lbs saw a fertility doc, I now have low ovarian reserve because of age. Really wish information like this was available back then. 42 now and am going through fertility treatments, hopefully with the meds I’ll be able to get and stay pregnant! Thank you for spreading this information! Thank you for sharing your story Cindy. I truly wish you all the best with this part of your story. I was also told I couldn’t have because of my weight. I now want to adopt…. Adoption is WONDERFUL Lorriane. I wish you the most amazing journey with becoming a mother via adoption!